The geologic creation of the Hawaiian island chain, a timeless battle between the elemental forces of fire and water, is one of the world’s greatest natural history stories. There’s not a better place on earth to witness and understand the awesome nature of volcanoes than at Hawaii Volcanoes National Park. There is no better way to explore the park than in the company of one of Hawaii Forest and Trail’s Interpretive Naturalists. They will show you the “must see” places within the park while you learn about their geological and historic significance. Due to the Hawaii Volcanoes National Park closure, only the NEW Twilight Volcano Tour is being offered with updated stops and lava viewing. Hawaii Forest and Trail will take you on an intriguing and provocative journey through space and time. On your way to the 13,796′ summit of Mauna Kea you will learn about the remarkable evolution and changes the Hawaiian islands have experienced. You will stand in awe among the largest collection of telescopes on earth witnessing some of the most dramatic scenery you’ll ever experience. They offer sunset and sunrise tours a top of Mauna Kea. Experience the awesome nature of volcanoes at Hawaii Volcanoes National Park. For cruise ship passengers, the Hilo Cruise Ship Volcano allows you to experience the awesome nature of volcanoes at Volcanoes National Park in a comfortable motor coach. In addition to the Volcanoes National Park, the tour will stop at Big Island Candies’ factory in downtown Hilo.. 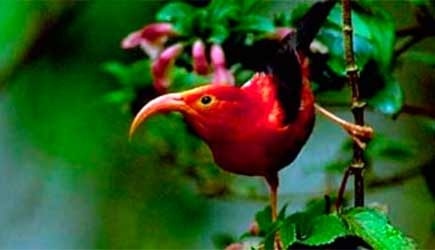 The spectacular Hawaiian i‘iwi is unforgettable! It’s a special tour that – under the conditions of the tour operator’s permit – they are only able to offer a limited number of times annually. (Hakalau National Wildlife Refuge is not open for use by the general public). Named by Hawaiians long ago, hakalau means “many perches” and is still considered critical bird habitat today. Once part of large cattle ranch, it was the first National Wildlife Refuge established in the United States for forest birds. It is home to some of the rarest plants and animal species on earth. On the Evening Volcano Adventure, witness the lava glowing from the summit! Experience rivers of lava on the newest addition, the Lava Viewing Hike! On the Hawaii Island Adventure, circle the island and visit Kilauea Volcano! 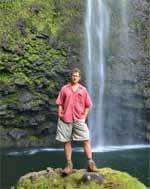 Experience the Big Island in small and personalized group tours. Kona Adventure Tours makes you feel like you’re just hanging out with friends, and the groups are no larger than 6. 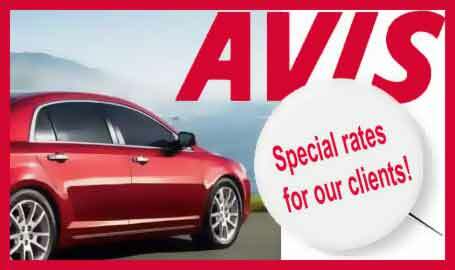 You will explore the island in the comfort of a full size air conditioned SUV. Their adventures include volcanoes, native bird watching, and so much more! Hike through in the rainforest and Thurston Lava Tube. The Grand Circle Island Tour offers the best scenic sites of the Big Island, and they depart from all west coast hotels and resorts. This intimate tour will take you to Waimea town, Parker Ranch, Akaka Falls & Rainbow Falls, Hawaii Volcanoes National Park, and Thurston Lava Tube. 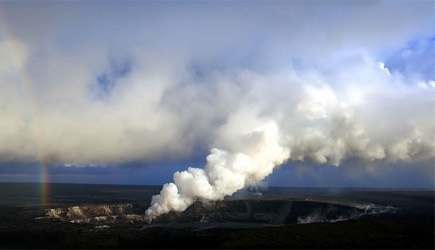 Other stops include Kilauea Iki Lookout, steam vents, historic Jaggar Museum, and witness the explosive power of Halemaumau Crater. On your way back to Kona, you will stop at Punalu’u Black Sand Beach where you may get to see endangered sea turtles. If time permits, the tour will make their last stop at a world-renowned Kona Coffee Farm for some free Kona coffee. The Waipio Valley and Waterfalls Tour explores the lush Hamakua Coast, Waipio Valley, and waterfalls on the east side of the Big Island. This full day of adventure departs from Kona and Kohala Coast resorts. You begin your tour at Waimea town and Parker Ranch then you will switch to a four-wheel drive van to descend into majestic Waipio Valley. You will visit Hawaii Island’s tallest waterfall, Hiilawe Falls, drive down the scenic Hamakua Coast and stop at the towering Akaka Fall and the amazing Rainbow Falls. If time permits, the tour will make a stop at Hilo Farmer’s market for you to experience the local produce and culture. You return to the Kona or Kohala Coast resorts via Saddle Road, which is nestled between the world’s tallest sea mountain, Mauna Kea, and world’s most massive mountain Mauna Loa. You may see local wildlife such as sea turtles at Honokahau beach! View an open beehive demonstration and you may get a chance to see the queen bee! complete your tour at the world famous Kona Coffee farm. Sample seasonal favorites at an exclusive tropical fruit farm! Due to the location and nature of the ongoing eruption that started on May 4, 2018, the Epic Island Volcano Journey has an alternative itinerary. It is an epic day of discovery as you wander off- the-beaten path and experience the island’s most awe inspiring sites including Kona Coffee farm, Kula Kai Caverns, black sand beach of Punaluu, Kapapala Ranch, Hawaiian Rainforest at the Volcano Art Center, and a 1,000 acre tropical fruit farm where you will see Rainbow Falls from a private viewing deck. This Epic Island Volcano Journey transports you through the many landscapes of the Big Island. The most popular day trip to another island is for visitors to fly to Oahu to visit Pearl Harbor to see the Arizona Memorial, the USS Missouri Battleship, the USS Bowfin Submarine, and the Pacific Aviation Museum. There is much to see and do at Pearl Harbor, and you’ll never get it all done in a day due to the historic popularity of this place. The two major attractions at Pearl Harbor are the Arizona Memorial, and USS Missouri battleship. It should be your goal to do one of these two attractions, and if you are able to get them both done in a single day you are truly blessed! We offer guided tours to Pearl Harbor for the day, including airfare … or a basic fly-drive package which includes airfare and a rental car.